Zero static valves, which are diaphragm valves, are capable of handling liquid, gaseous and even semi-solid process streams without the risk of leaking or stagnation. Alternative valve designs that use balls, reciprocating rods or flanges result in several exposed recesses which, without a zero static mechanism easily retain materials. If not promptly removed, process stream stagnation can quickly lead to bacterial growth which may corrode piping and contaminate the entire process stream. Many industries such as biopharmaceutical, agriculture, irrigation, plumbing, water treatment, chemical and food processing, pulp and paper, mining and energy production utilize these valves in their daily operations to ensure both equipment functionality and material purity. These valves can be installed inline or perpendicular to the pipeline by using weir valves or seat valves respectively. Hygienic valves, biotech valves and sanitary diaphragm valves utilize zero static valve components to further ensure aseptic operations. With such a broad range of applications, it is important to consider zero static valves with regards for their intended use. Process streams commonly handled by these valves include silicones, adhesives, oils, chemicals, water, food, cleaners, sanitizers, coatings, fuel and more. Valve components must be made out of chemically compatible materials in order to promote product longevity and efficiency. Durable metals such as brass, steel and stainless steel as well as PVC, CPVC, polypropylene and other plastic materials are used to construct valve components. The diaphragm itself may be made of elasticized metals, though corrosion resistant polymers are more frequently used. The valve is installed directly behind the diaphragm and in close proximity to the main line. Compact models are especially popular as they can be installed even into flow lines or cisterns with complex geometries and limited space. 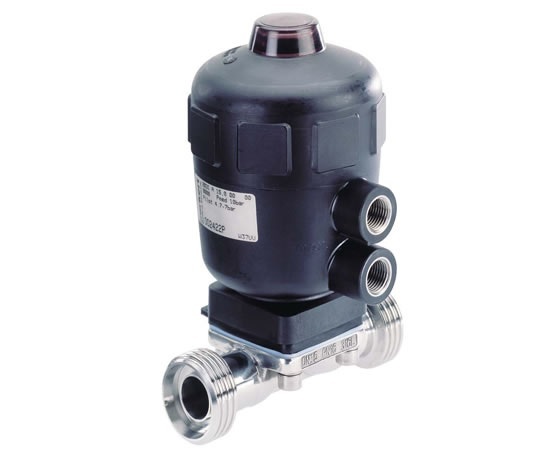 As zero static valves are commonly referred to as point of use or downstream purge valves, it is important to be aware of product specifications in order to ensure the optimal valve for a given applications. Operating temperatures, production methods, number and size of ports, overall dimensions, flow compensation and actuator type in addition to the material concerns mentioned above should be scrutinized when selecting a zero static valve.